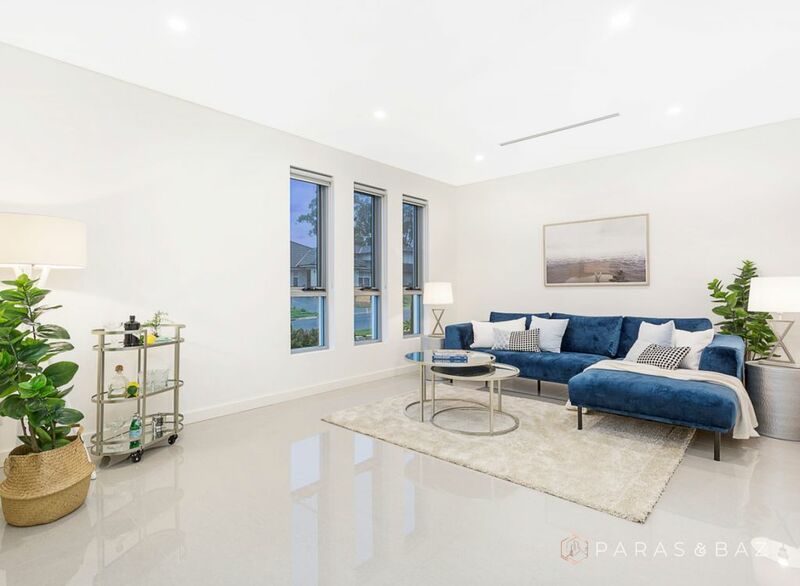 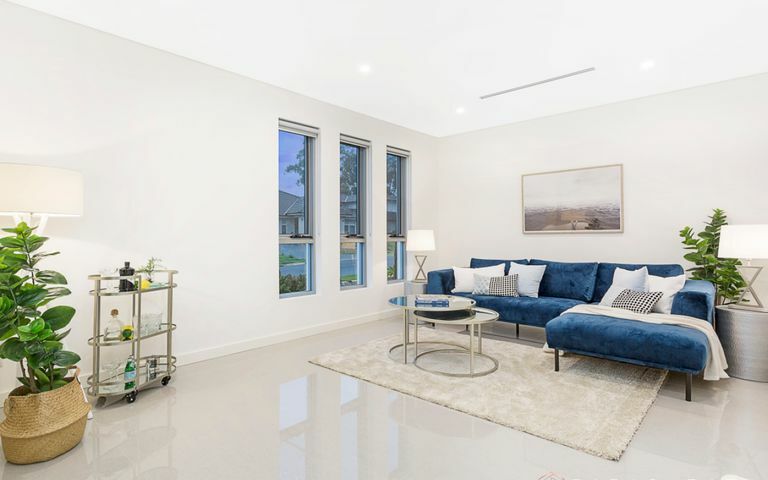 Boasting superb architectural craftsmanship and exquisite interior design by renowned architect Basil Alqadoumi, this dramatic as-new prestige residence assures the highest standard of luxury living in an exclusive hills district enclave. 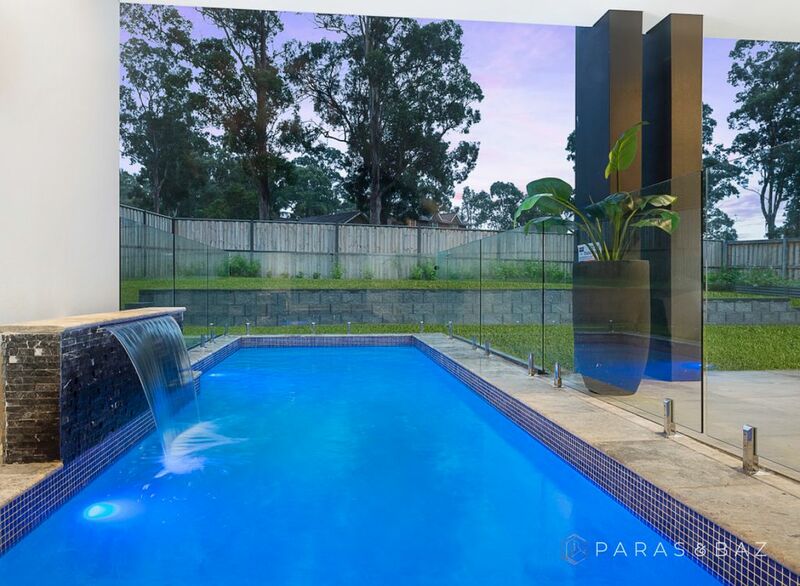 Elevated on 700sqm of premium land, this rare to find double brick home with suspended and raft slabs offers the ultimate in low-maintenance luxury. 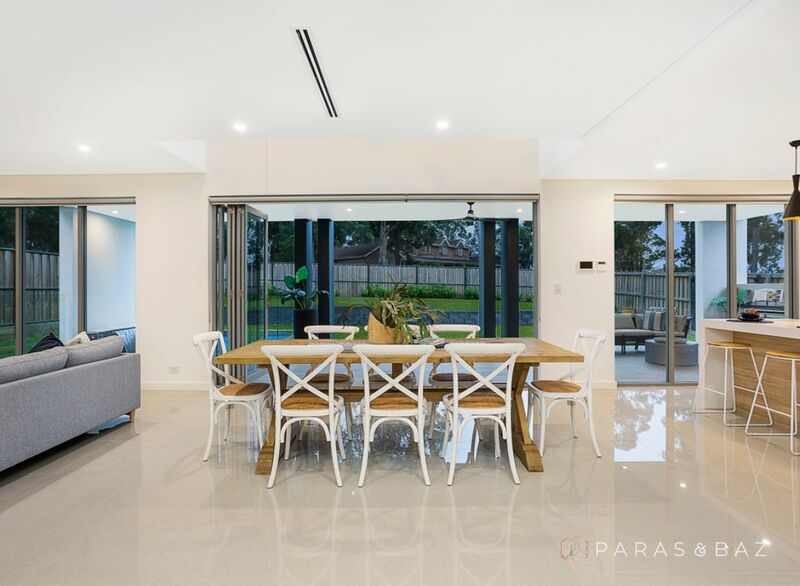 Unfolding over two stunning levels, the home’s focus on flowing space and indoor/outdoor harmony is evident from the first step inside, where north-to-rear aspect and floor-to-ceiling glass ensure an abundance of natural light & warmth. 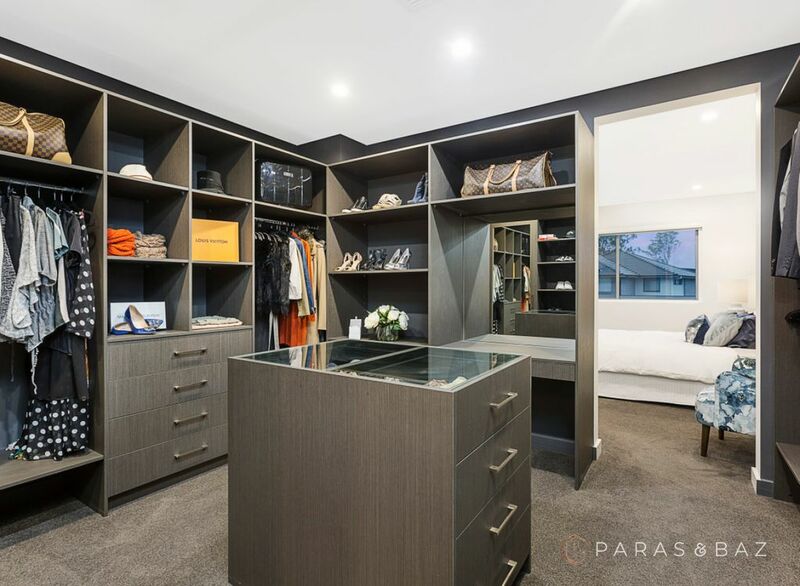 + Superb master wing with an extravagantly designed walk in wardrobe featuring an island bench for jewellery and accessories to make you feel like a king and queen. 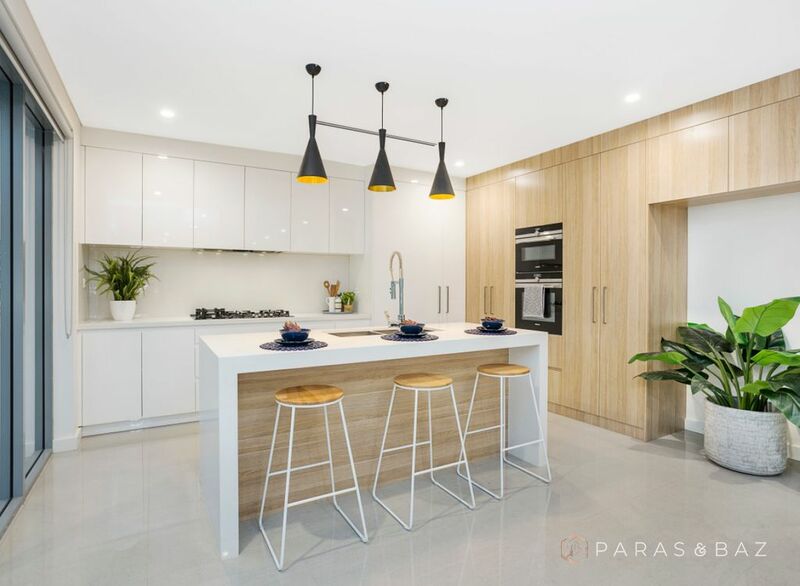 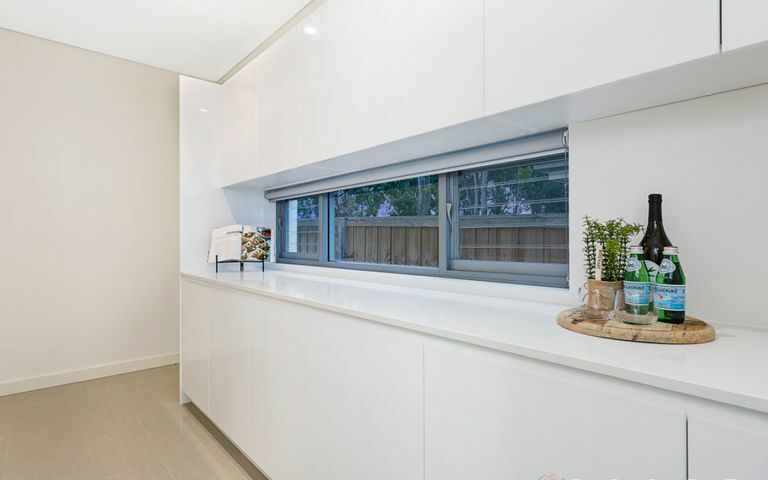 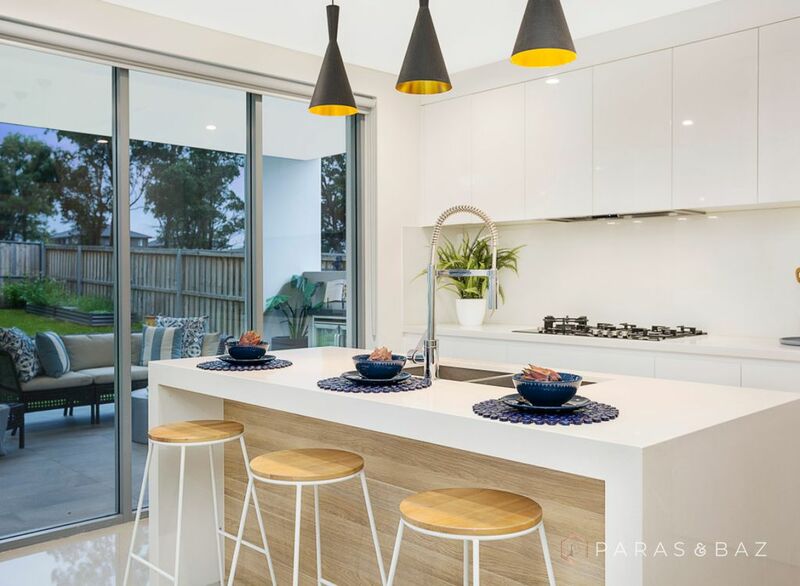 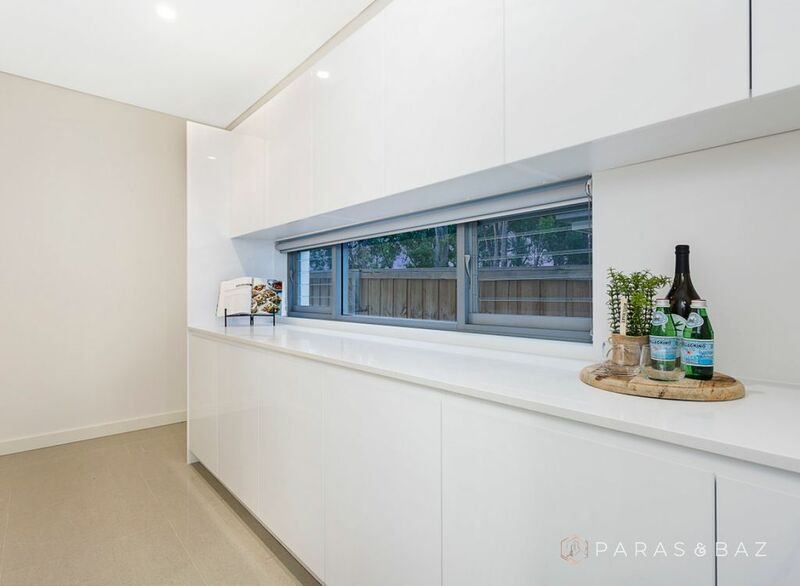 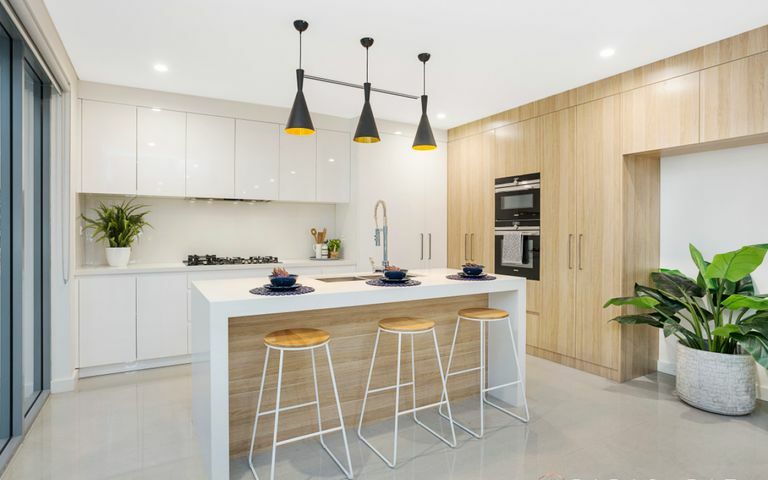 + Compact and easy to clean kitchen with 5 burner gas cooktop, 80mm stone benchtop with waterfall edges, integrated European appliances plus an expansive butler’s pantry that extends and doubles the working space when entertaining. 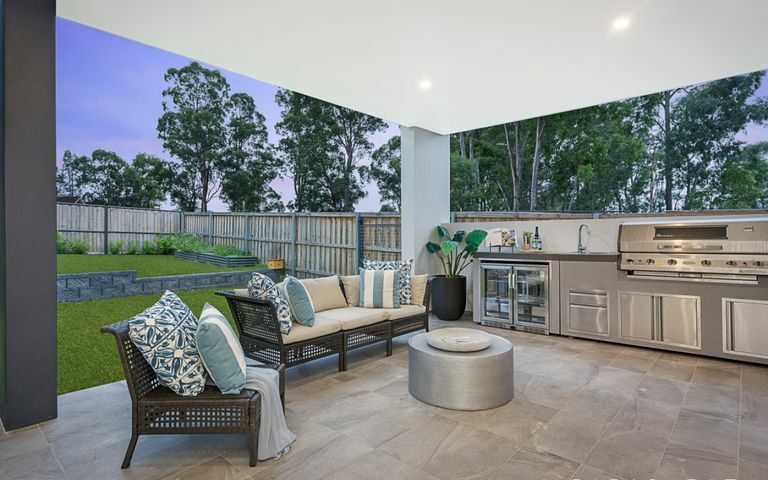 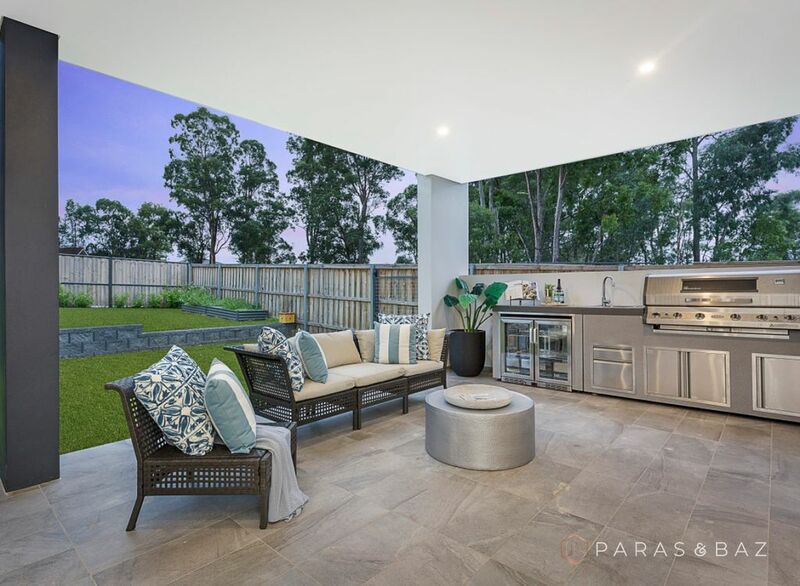 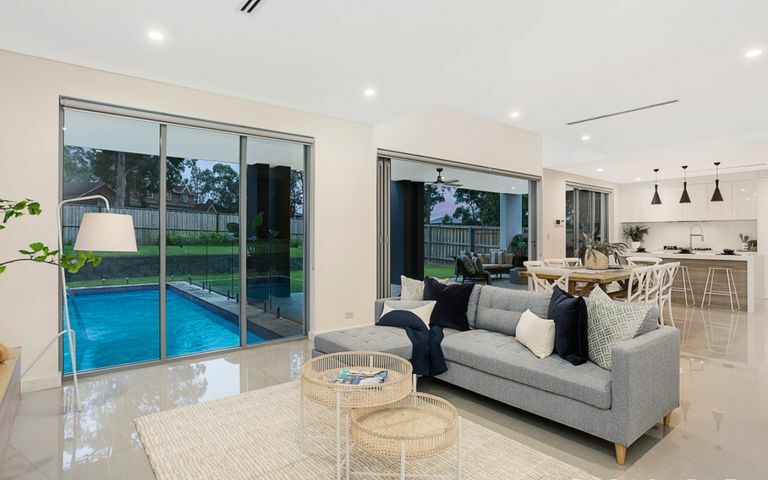 + Versatile outdoor entertainment area featuring a salt water pool (provisioned for solar heating), a built in 6 burner gas BBQ, bar fridge, sink and benchtop fully covered alfresco entertainment area and an abundance of green space for kids to run around and play. 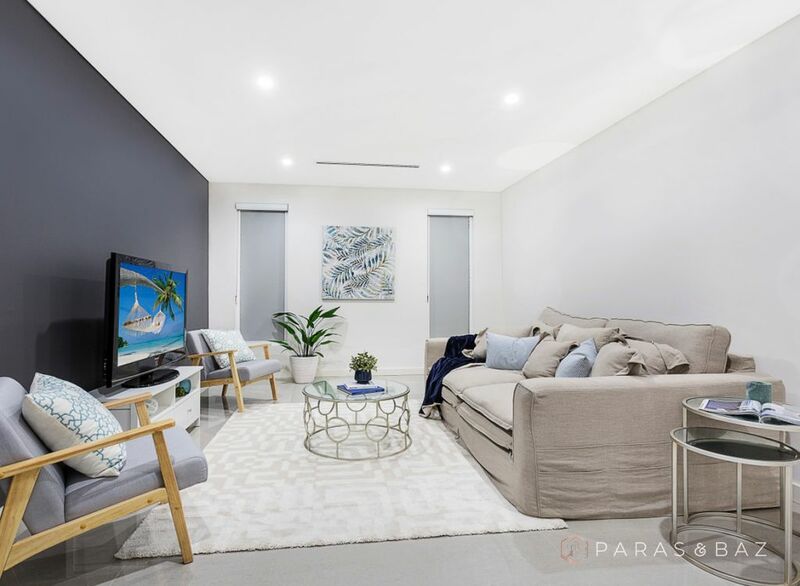 + A dual purpose media room wired for ceiling speakers and equipped with blind gap light blockers to make it pitch dark when watching a movie. 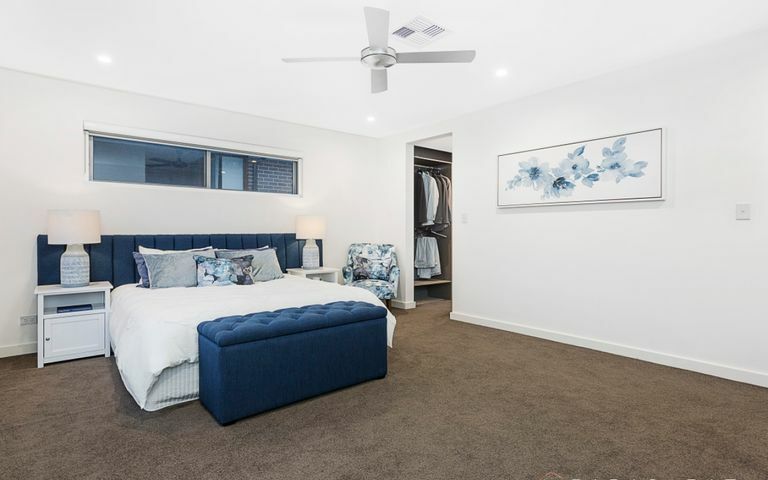 + A separate bedroom downstairs perfect for guest/in-law accommodation or to be used as an office for a home-based business to flourish. 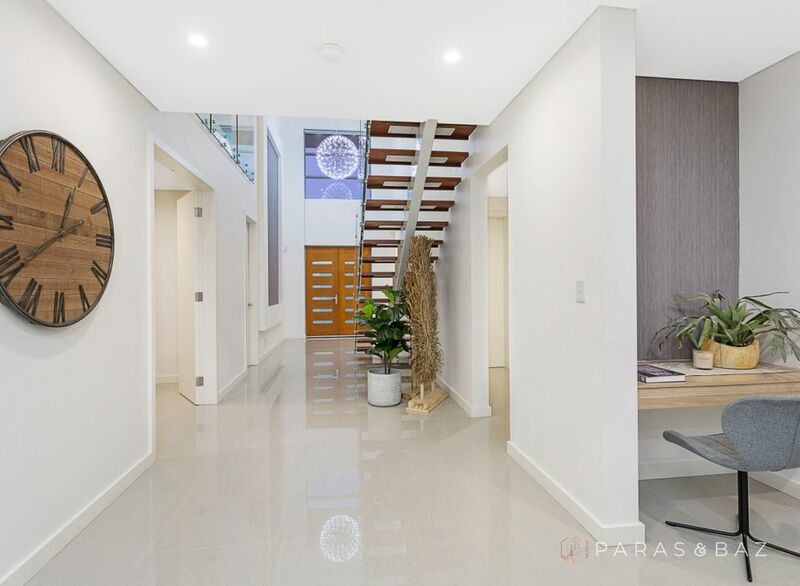 + A formal lounge at the entrance of the home perfect to greet your guests away from your informal living hub. 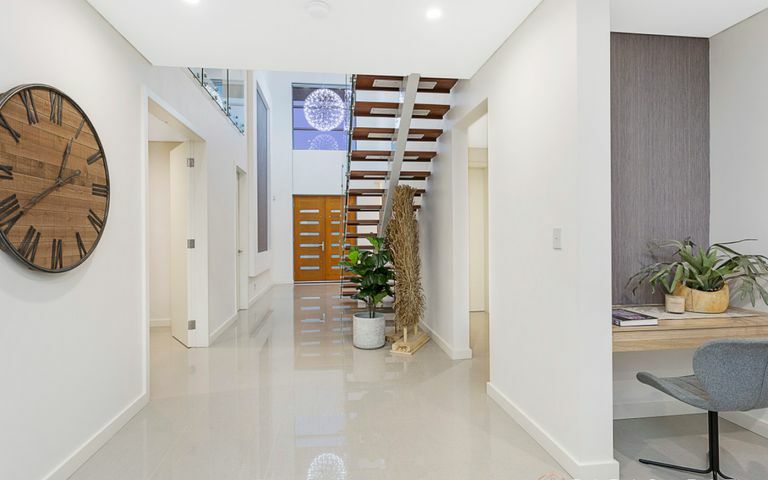 + A classic combination of crisp white and natural oak ravine interiors with custom built and wall hung joinery including a study nook downstairs. 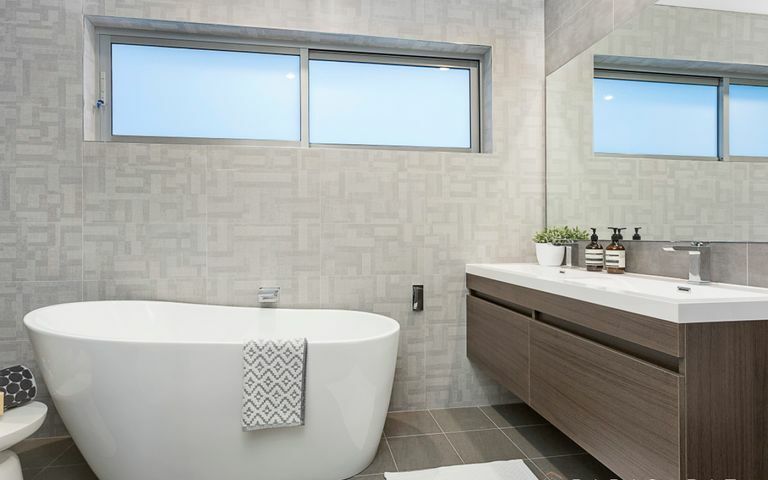 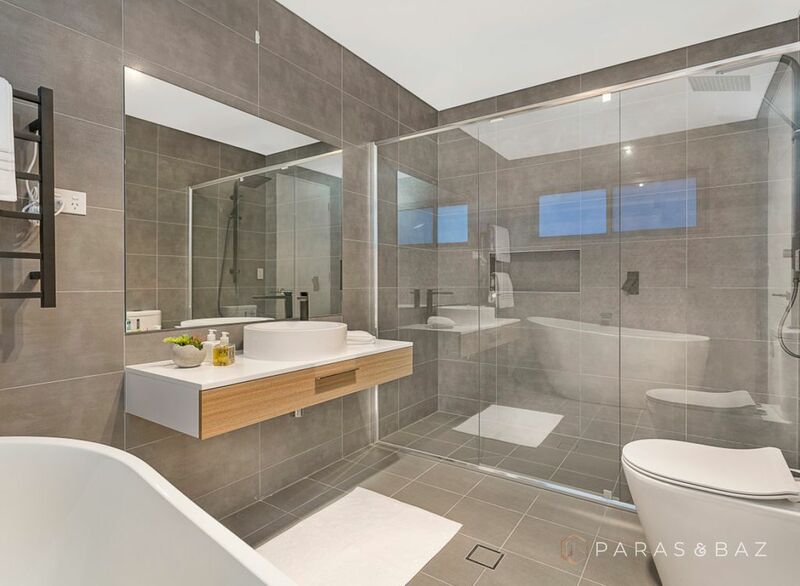 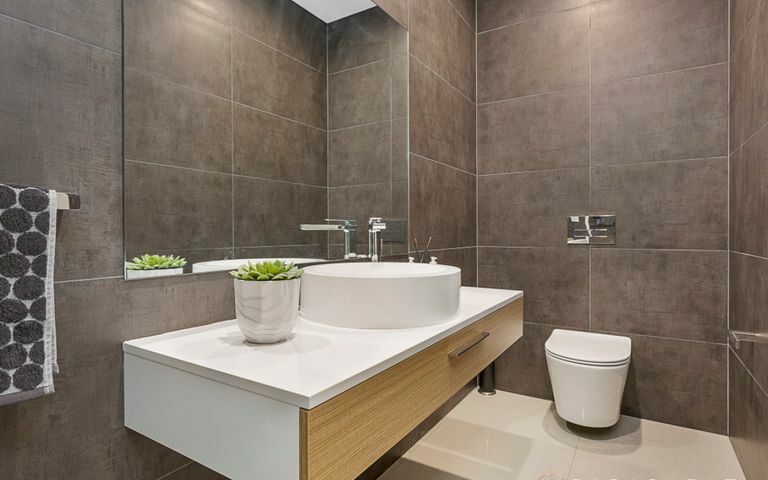 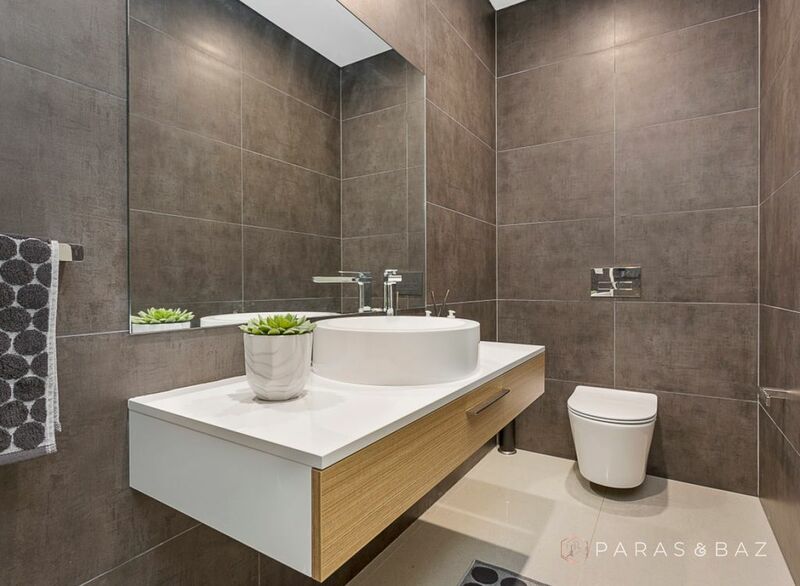 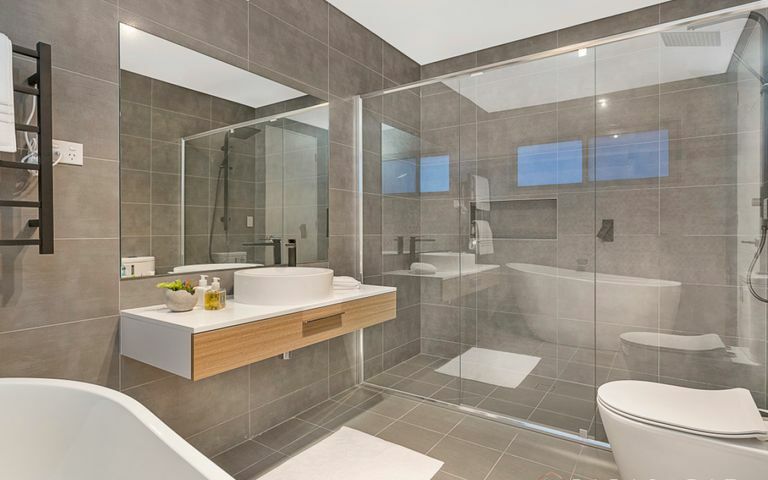 + Finest quality of ensuites, bathroom and powder room with Parisi fixtures and the in style black tapware and heated towel rail in the ensuite upstairs. 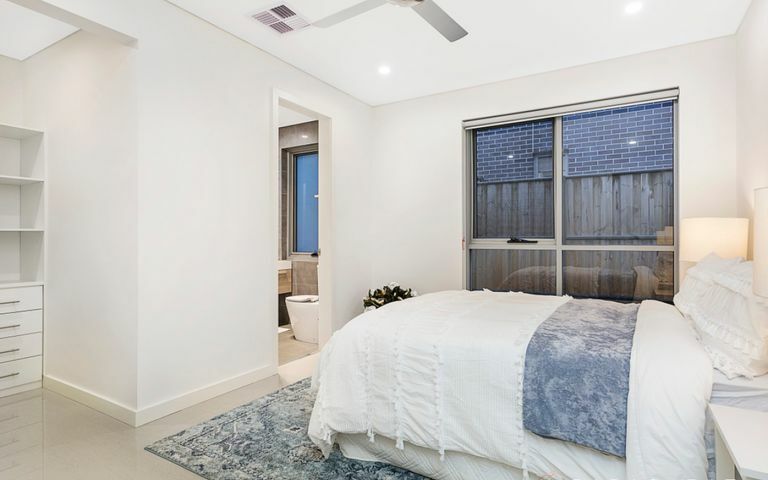 + Three zoned reverse cycle ducted air conditioning plus fans in every room to maintain optimal temperature throughout the year. 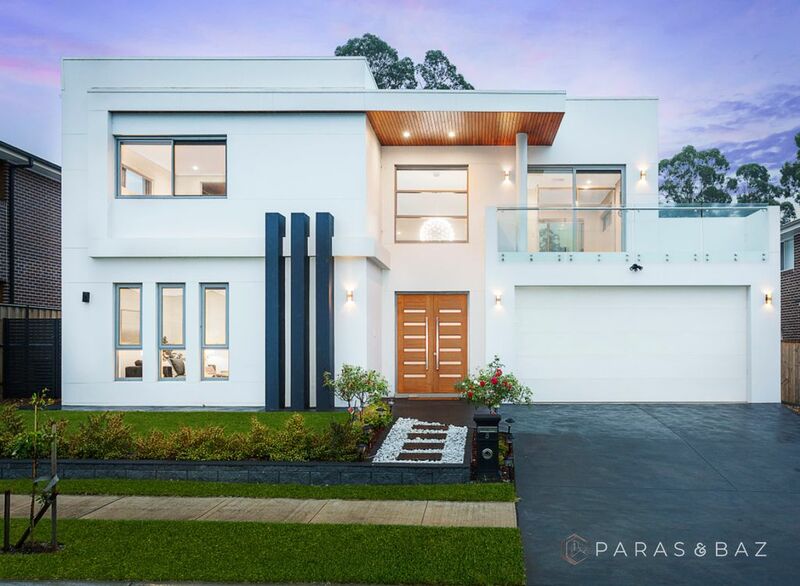 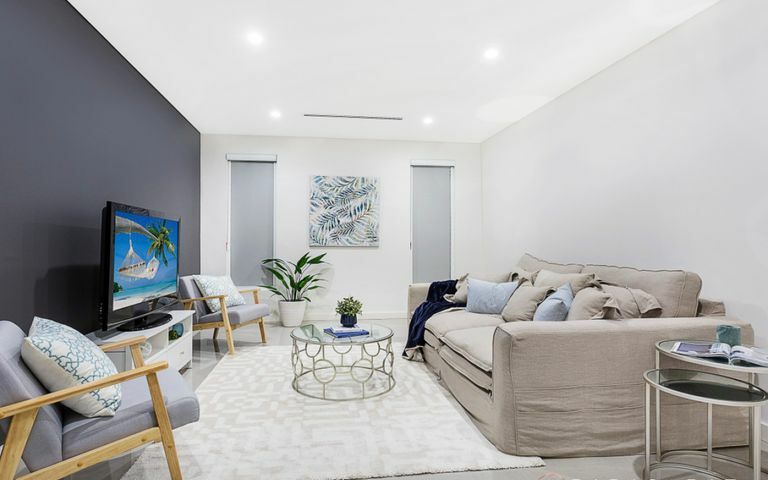 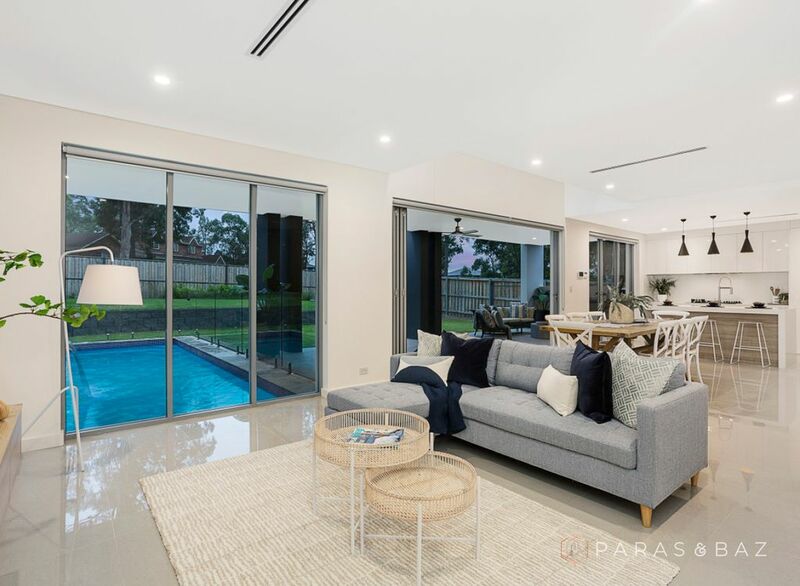 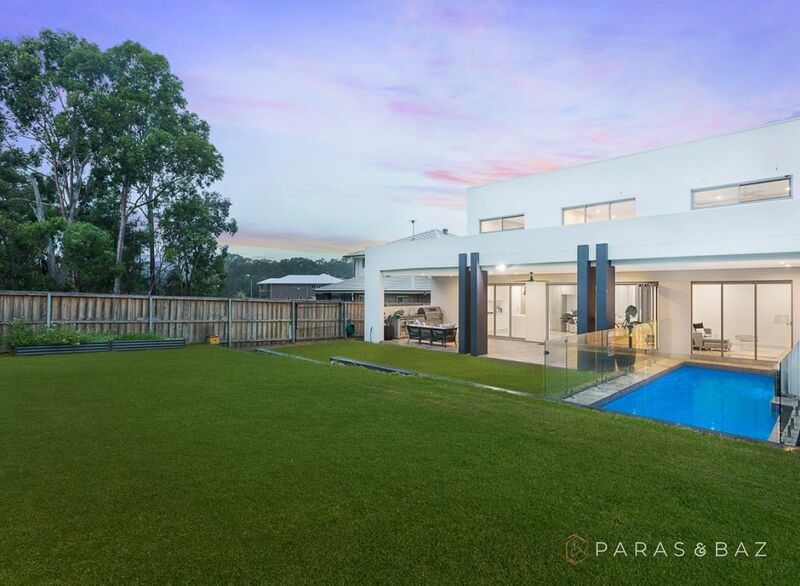 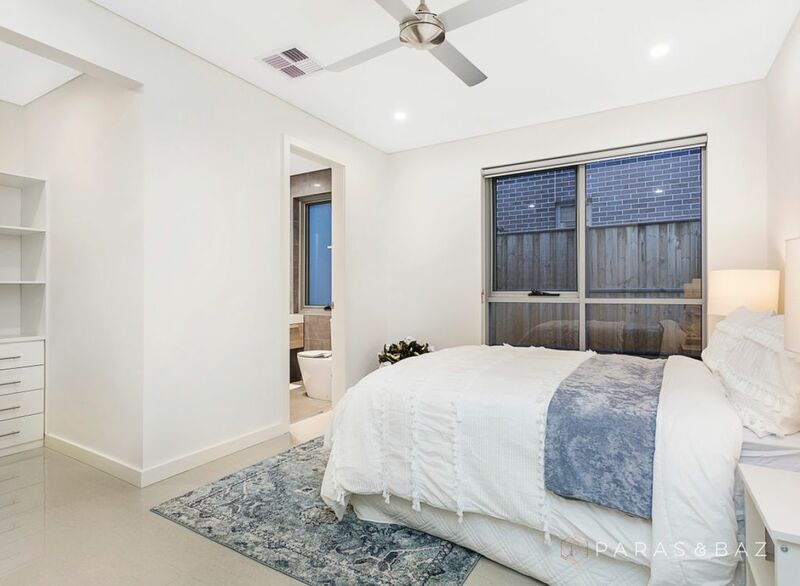 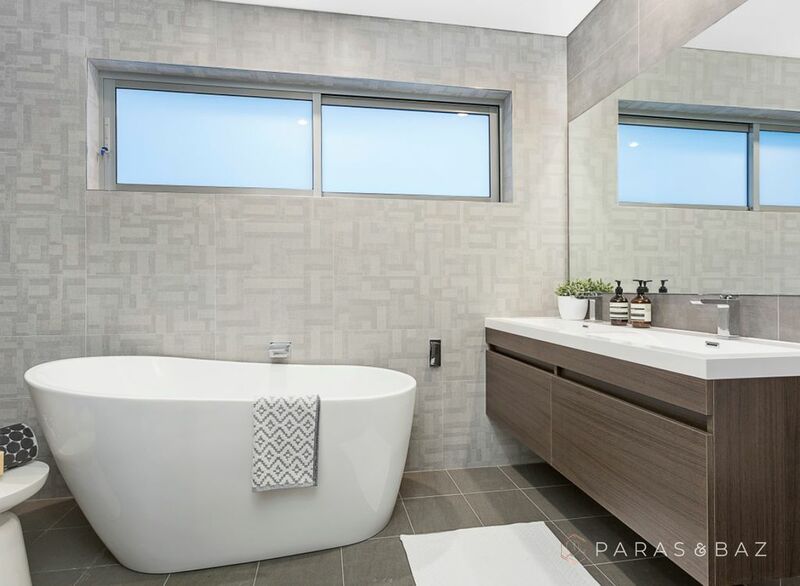 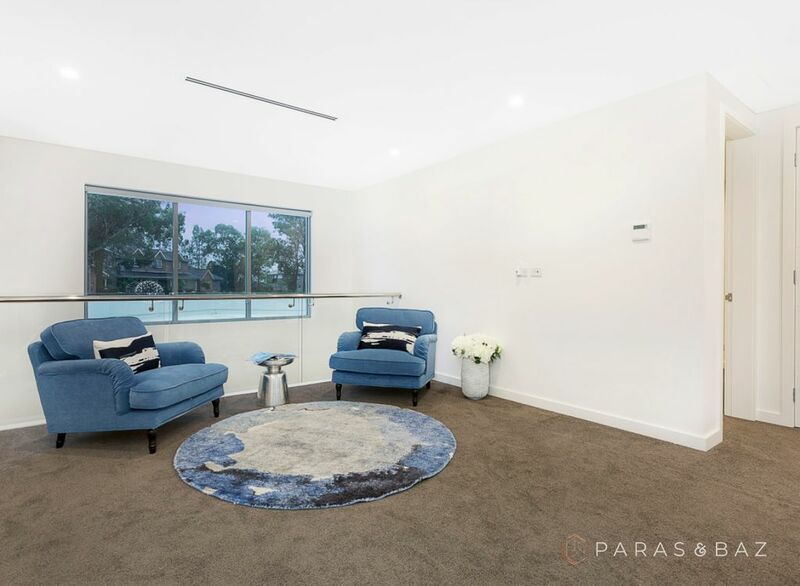 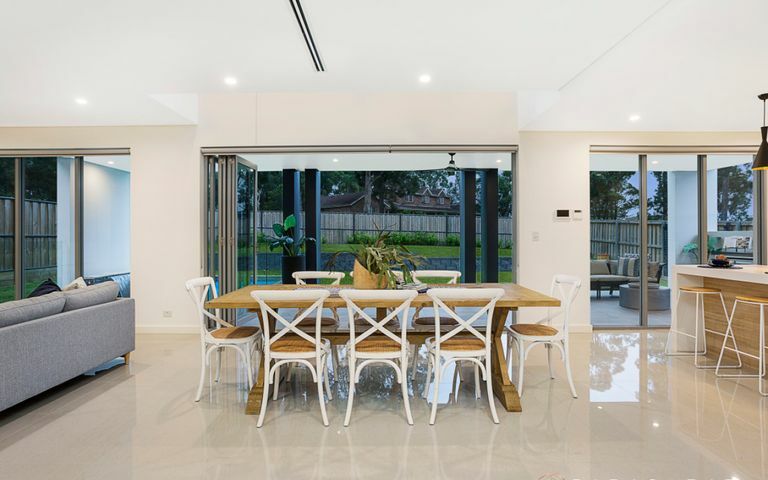 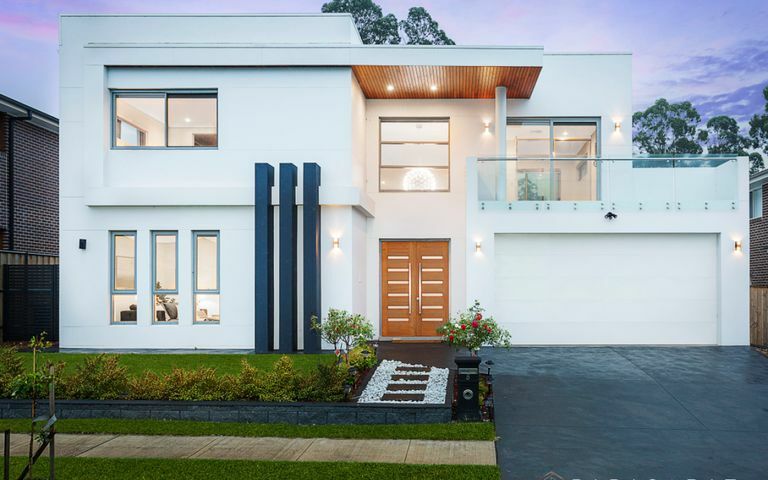 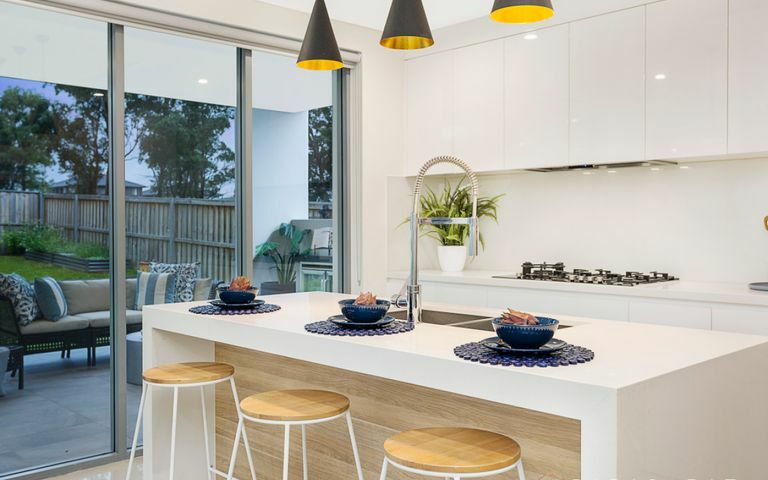 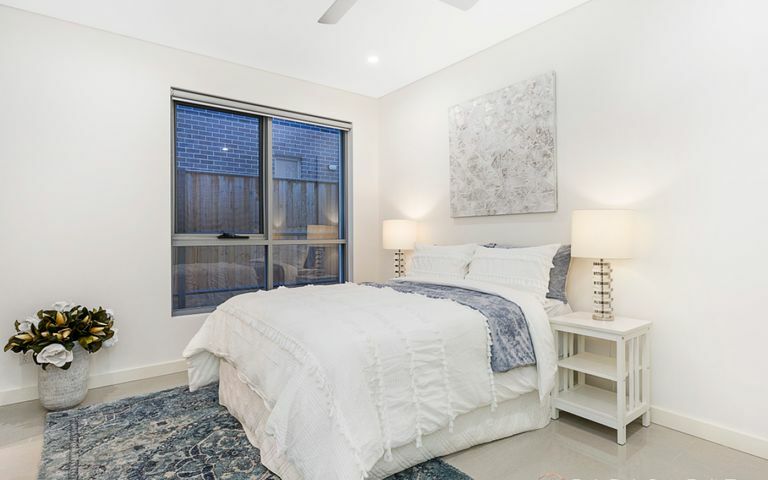 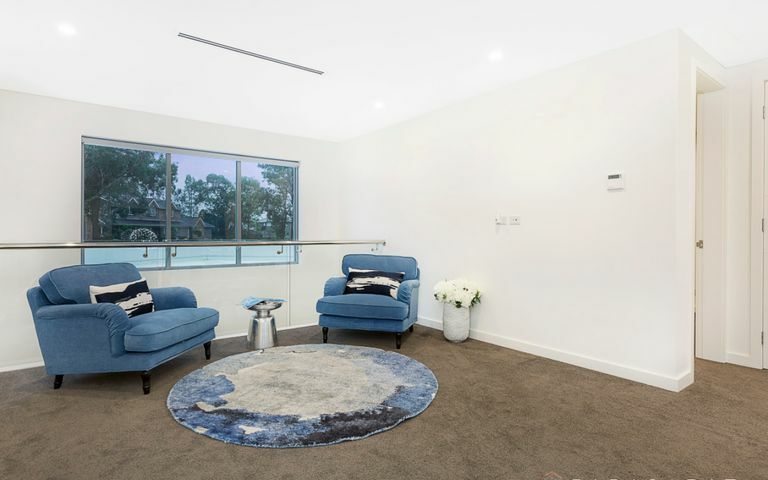 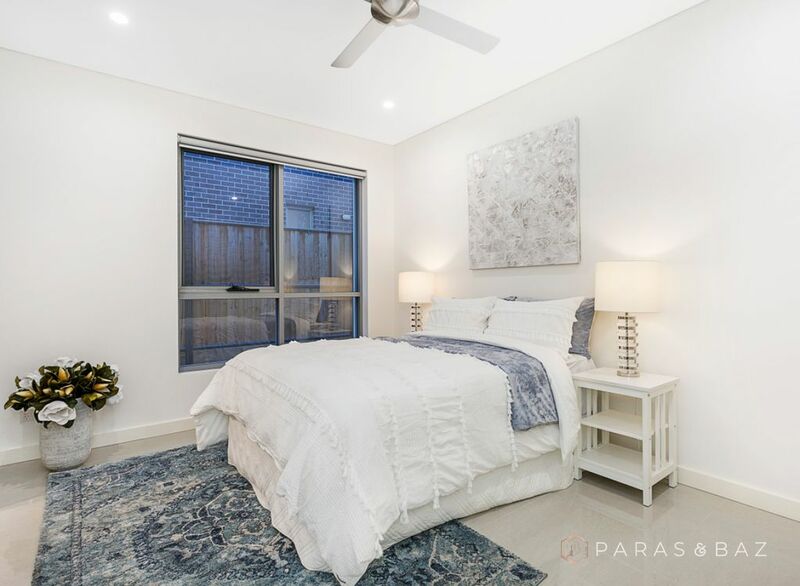 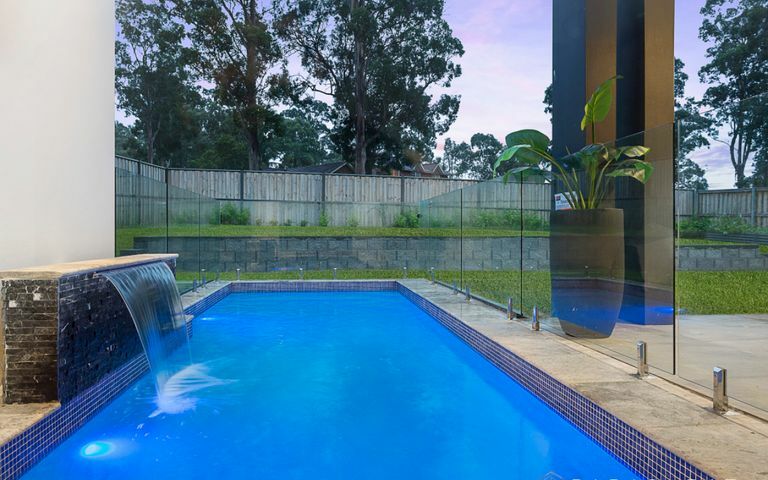 + Walking distance to the world class Norwest Business Park, shopping precinct, celebrated restaurants, the upcoming Norwest Train Station, Balmoral Road Sports Complex & the newly opened Bella Vista Primary School. 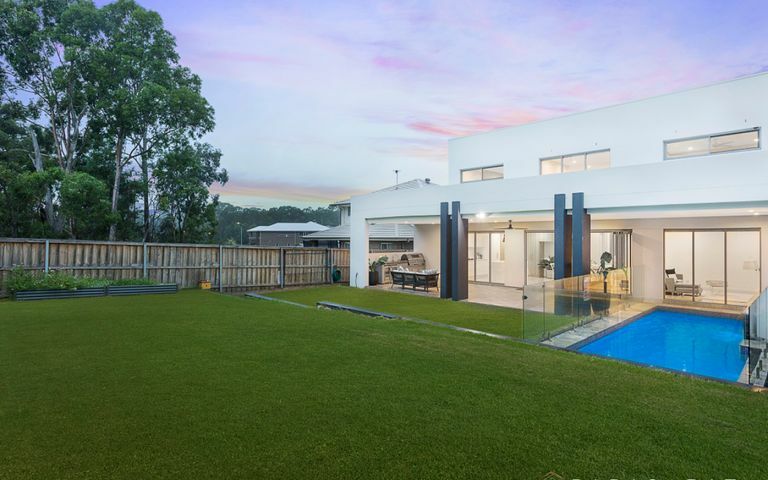 Residences of this calibre rarely become available so don’t miss out on your opportunity to inspect this breathtaking family home.